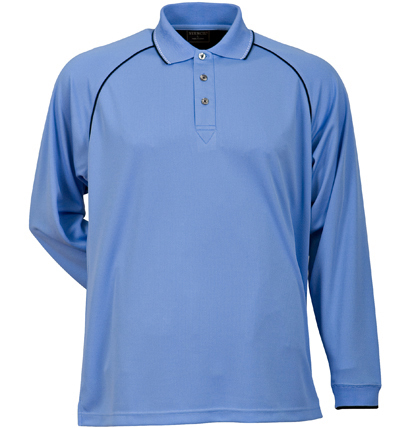 FEATUREMade from 185g polyester Cool Dry®, the Cool Dry® Polo has a very soft silky finish. It features side splits, raglan sleeves and contrast trims on the edge of the placket and hem. The men's style also has double cuffs with a contrast trim.